We know that your wedding day has to be perfect in every way. Here are a lovely selection of comments that were left by previous brides and grooms which contributed to us winning the Wedding Industry Award for Best Venue in the North East & Yorkshire in 2013 & 2014, and also national finalist in the same category. We just wanted to send you this short but sincere thank you for all your help and support in our amazing day. Every time we look at this picture we are transported back to that day surrounded by sunshine, laughter and love. Thank you for all the work for the reception over the last year (or so!). Your patience and foresight, coupled with your easy approachability and problem solving ensured a successful evening and topped off the amazing day! Thank you all for making Alice & Nick’s wedding day so very, very special, it was just as we hoped for & more. Thank you each & every one. Thank you so much for making our wedding day so special. Your planning and organisation coupled with a highly efficient team helped to create a brilliant atmosphere with some great touches. The food was amazing and everything was just perfect! We look forward to returning to The Black Swan in the very near future. Just a quick thank you from both of us for making our wedding day extra special. Everyone had a wonderful time, enjoyed some lovely food served impeccably by the brilliant staff. Nicola, you worked so hard in the weeks before the big day, making sure no detail was missed, and along with Grant made the day go smoothly with nothing too much to ask. Thank you so much for making our special day even more brilliant than we could possibly have hoped for. Thank you to Nicola and all the staff for our incredible wedding! We’ve had an amazing time and a day we will never forget. Thank you all so much. Many thanks to Nicola and the team for helping to make our wedding day such a special, perfect occasion. We really couldn’t have asked for things to go any better. The sun smiled, we smiled, the guests smiled! I’m not sure that this short note can really capture how much we want to thank you for all your help and support in planning our wedding! You were absolutely amazing from the very first meeting and ensured that our day was absolutely perfect! The whole team at The Black Swan were fantastic on the day and I must give special mention to Grant, who was a great Master of Ceremonies. The food was incredible – all our guests have commented on the high quality. You really did help to ensure that our day was very special! Thank you so much. This is just a quick note to say thank you for all your hard work and preparation that you put into both the organisation before the wedding and the smooth running on the day. I can honestly say there was not one moment I was worried or nervous and this was thanks to the kindness and the calmness of Nicola and the other staff. The day could not have been more perfect, all our guests have commented on how lovely the venue, food and staff were. I am sure we will be back to celebrate anniversaries! A huge thank you to everyone for making our wedding day so amazing. Everything was perfect on the day, from the food and wine, the service – even the weather! The staff could not have been more helpful, and it really made our day wonderful. The Black Swan is a lovely hotel, and we will definitely be back to visit. Thank you so much for being so helpful in helping us plan our wedding at The Black Swan. We had such a special day which has made lots of happy memories. Everything went smoothly and we enjoyed every minute! Please may you also pass on a huge thank you to Matt who really looked after us on the day and made sure we were happy. Thank you Nicola, Matt and all the staff at The Black Swan for helping make our wedding day the best day of our lives! Both Nicola and Matt who were with us throughout our weekend and all the other staff really did an excellent job and we could not fault anything with our stay, our ceremony and dinner on the Friday nor our event on the Saturday. It truly was a memorable weekend, one we will have very fond memories of for the rest of our lives and one that was only made possible by the exceptional people you have working at your hotel. Our friends and family were blown away with the hotel, the food and the service they experienced. After planning the wedding for so long and wanting everyone to enjoy it, the hotel did us proud and you cannot believe the relief that both Matthew and I felt knowing we were in the right hands for our celebrations. We would like to send our HUGE THANKS to The Black Swan – our wedding day was everything we wanted it to be and you were all part of that. In particular, special thanks must go to you [Nicola] for setting everything up. The venue is beautiful in itself but I appreciate you remaining patient, listening and putting out my endless ‘stuff!’ Matt was simply a star on the day, so incredibly polite and professional throughout the entire day. It can’t be easy handling a whole wedding, but he was fantastic. Please, please also pass on our sincere thanks to your incredible chef and his team. We would simply not have changed a thing, it was delicious and just as we wanted, that something ‘different.’ I could very happily sit down and eat it all again. In fact, I’d quite happily repeat the whole day! We don’t underestimate the amount of behind the scenes work that goes on when there is a wedding party, so we extend our thanks to everyone at the hotel for making our day so wonderful. From the bubbly girls on reception, the accommodating bar staff and friendly porter, we are very grateful. For all of you to work so hard to ensure we had a perfect day in such heat too, is touching. Where do we start? We can’t thank you enough for making our wedding day perfect in every way. From the moment we met you, I knew you would do a fantastic job and you did that and more. Everyone loved the venue and we are sure that we will be back for our anniversary next year! From the beautiful surroundings, delicious food and all of the friendly staff, who by the end of the week felt like friends – this was the perfect venue. A month has now flown by since Emily and Vinnie’s wedding day. Thank you [Nicola] and all the Black Swan staff for making it such a wonderfully happy day and memorable occasion for us. Your kindness, helpfulness and super-efficiency both in the planning and on the day itself were second to none and for this we are most grateful. Many of our guests commented that they have never been to a wedding like it – everything was absolutely perfect from the moment we sipped our Bellinis to the moment we handed in our room keys on Sunday morning. Thank you all so much. I just wanted to write to express our gratitude and say thank you to you and all the staff at the Black Swan for making our wedding reception a wonderful celebration. The efficiency and professionalism of the staff are a credit to you. Our thanks to you personally Nicola, for your support throughout the months leading to the wedding. I know that Julie and Jon being so far away felt confident that you would ensure the Black Swan would prove to be the perfect venue for us. A special thank you for your kindness and thoughtfulness on Sunday morning when the bride was not feeling well and for providing the bags of water and an apple for guests embarking on a long journey home, it was much appreciated. Once again, our congratulations on an excellent service, we are extremely satisfied customers. Thank you ALL for the most wonderful wedding day, we had all we wished for and more, yesterday really was a perfect day! To all the staff at The Black Swan, just a note to say thank you so much for making the wedding of Hannah and Dan so special. We were so delighted with everything that you did to make the weekend so wonderful for us all. The hotel is beautiful, spotlessly clean with excellent food and service. All our guests were very impressed with the wedding meal and also the meal on the Sunday night. Thank you so much – we had the most fantastic time, I couldn’t of picked a better venue for our wedding. The staff were amazing beyond words, Nicola our Wedding Planner was great and the Master of Ceremonies I can’t speak highly enough of. Thank you so much. We just wanted to say a huge thank you again for all of your help making our weekend absolutely perfect. You and your team were just amazing and everything went better than we ever hoped it would. We are in Thailand now on our honeymoon and having an incredible time! Thanks again, we’re still flying high from the weekend and are so grateful to all of you guys at The Black Swan for all of the effort that was put in to making our day the best day of our lives. Thank you for everything that you [Nicola] did to make our wedding day perfect! It was better than we could have ever imagined and just wish that we could do it all again! Right from our first visit to the hotel you (and other members of staff we have spoken to) have been so professional and helpful. We have received so many compliments from our guests about the food, staff, rooms and the hotel in general! We are so pleased that we picked The Black Swan as our wedding venue and look forward to visiting again in the future. I just wanted to let you all know how much I appreciate all your efforts throughout the weekend of my wedding. Myself, my Husband and all of our friends and family who celebrated with us thought you were all amazing! Nothing was too much trouble and you made everyone feel welcome and pampered. Special thanks, first to Nicola, who was patient and efficient during all my wedding plans, everything was organised and really easy. Also to Matt who was our Master of ceremonies, he did an amazing job and remained calm throughout which was really nice while most of us were a little bit panicky! Our wedding went so smoothly in a beautiful venue with delicious food and the best staff around! I would highly recommend The Black Swan to anyone getting married. It truly was unforgettable! Thank you to you [Nicola], Matthew and the rest of the staff at the Black Swan for the hard work all of you put in to make Sarah and Matthew’s wedding celebrations such a success. Many of the guests did comment on how it was the best wedding reception they had been too and what a good venue the Black Swan was. The whole day went like clockwork which I am sure was mainly down to all of the hard work and planning by yourself and the rest of your colleagues. I know that the Black Swan is a popular wedding venue but we did feel that our weekend was special and no request was a problem. Thanks again for a wonderful weekend and I hope to see you when we next visit. Just wanted to say a huge thank you to you and all the staff who made our wedding day such a perfect day. So many people commented that it was one of the best weddings they had ever been to, we both had such an amazing time. Even my Dad commented what a good day it was so it must have been something special!! Special thanks to Matt who was incredibly attentive all day long, constantly checking everyone was ok and if we needed anything, he really was a star! Hoping we can get back for another visit soon, we loved our room and the breakfast was delicious. I, my friends and family wish to thank you [Nicola] for the exceptional service with which you provided us over this last weekend for the Thompson/Leah wedding. So many of us have commented to each other how extraordinary your attention to detail was. You were ever attentive, proactive, energetic, pleasant, unimposing. We were in short, blown away. Many of us have stayed in some fabulous hotels in the world over the years but I for one would place The Black Swan in the top 3. The experience was one of quality, warmth & comfort. The weekend was very hectic but the hotel staff made it as relaxing as possible. Can I say a big thank you for all your organisation which made our wedding day run smoothly. We had a fabulous day and we would really like to send a big thank you to James who was excellent and looked after us so well. All our guests enjoyed the day, loved the food and thought the hotel was beautiful. Many Thanks again. We would like to send you [Nicola] a HUGE thank you for everything that you did to make our wedding the happiest day ever. We always knew that you would do everything that we asked for, & right from the start we felt like ours was the only wedding you were organising. This all made us feel special & relaxed about our big day. Therefore we knew what to expect once the rooms were all ready for us, however we were WOWED as it was all even better than expected. The garden room literally took our breath away when we first walked in, everything in all the rooms throughout the day was totally amazing. It was truly the most perfect day ever, so we really cannot thank you enough. The only trouble is, we have been having some post wedding blues this week!! It was such a good day we just want to do it all over again. I would just like to say a massive thank you to all the team at the Black Swan for making our wedding day the best day of our lives! Nicola was fantastic from start to finish, nothing was too much trouble and she made everything so easy. Matt the master of ceremonies was amazing on the day, he put everyone at ease and made our day completely relaxed. Thank you to you all, I would highly recommend the Black Swan to anyone! See you on our anniversary! As the proud Father of the Bride and also having the key financial interest in the proceedings, I am very pleased to give my report on this hotel. In simple terms, from the personal planner who looked after my Daughter’s requirements to the finest detail, through to the management and service of all the staff on the day, I cannot find any aspect of the event that wasn’t to expectation. A big thank you to all. As the final song played at midnight it summed up the occasion – it truly was a perfect day. Thanks to all. What can I say to all the staff of The Black Swan – you made our special day so special and made all our guests so welcome. Our party came from far and wide. To hear all the amazing comments, we just knew our venue was the right choice. To have your wedding at The Black Swan really is an amazing experience. The staff at the Black Swan really helped make our day run smoothly and efficiently. They were unfailingly polite, attentive, kind and helpful. The food was delicious and complimented by all our guests, including the vegans. Our wedding organiser, Nicola, was incredibly helpful and kind. I simply cannot fault any part of the service that we received from the Black Swan Hotel, from our initial meeting with Nicola, the wedding co-ordinator, right through to the wedding day. 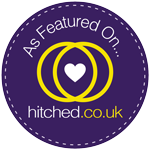 We would recommend it to anyone and had a wonderful day as did our wedding guests. We had a small wedding but this made no difference to the outstanding service, professionalism and quality that we received from our initial enquiry to the day itself. Everything was perfect; the food, the staff, the function rooms and bedrooms. A wonderful day to always treasure. The Black Swan Hotel provided a great setting for what was simply the best day of my life. This morning (the day after my wedding) many of our guests who had also stayed over commented on what a fantastic venue it was. The staff were so attentive, and made us feel so special. We really can’t fault the Black Swan Hotel and they delivered our wedding flawlessly from start to finish. Nicola and her team were always on hand prior to the big day to discuss details and they delivered on all fronts. Our guests were extremely complimentary about the venue, service and food. The care & attention that the staff provided us with was simply wonderful; every detail was taken care of. The venue was everything we hoped it would be; the staff made it a truly magical experience. The food was amazing, the bedrooms were beautiful & the walled garden is perfect for photos. Our day was absolutley perfect! I just would like to say a huge thank you on behalf of myself & Gareth. Our day was absolutley perfect! During the planning and preperations, you [Nicola] were so approachable and happy to go out of your way to help us. Nothing was a trouble. This made it all completely stress-free! The day itself was amazing. It was lovely to be greeted at the door after the service, really warm and welcoming for everybody. The staff were exceptional, polite and friendly, resulting in everything running smoothly. Matt and James are an asset to the hotel. They were great. The timings and service of the meal were spot on. The food was superb and enjoyed by all and the sticky toffee pudding was ‘out of this world’! I’ll be coming back soon to have it again!! Well done on the evening buffet too, it was excellent & plenty for everybody to enjoy. A stay at The Black Swan is a chance for you to ‘disappear for a while’ and to leave with a smile. Our comment book and Trip Advisor is full of the lovely things that our guests have said about us, and here’s a chance to have a look at what other people have said.